Abu Dhabi boasts a collection of gorgeous islands off its western coast with the stunning 4100-hectare Arabian Wildlife Park. 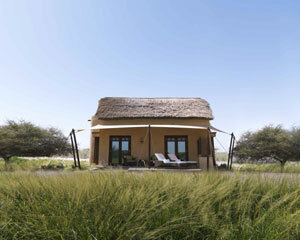 As the popularity of Safari tours and luxury adventure trips in Africa grow annually, the island of Sir Bani Yas offers travelers another unique and fairly unknown adventure of a similar kind. With hidden treasures such as guided driving tours into the wild animal kingdom, snorkeling excursions in pristine waters and tours to the active archaeological site of a Christian Monastery, Sir Bani Yas already offers its visitors an array of relaxing and intriguing activities. 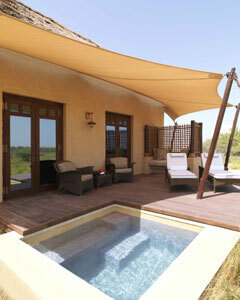 Currently sitting in the midst of this preserve is the award winning Desert Islands Resort & Spa by Anantara. In 2013 Anantara is poised to open their newest project, Al Sahel Lodge, offering guests luxurious private villas immersed in the wildlife of the natural preserve. Thirty beautiful, thatched roof villas with private plunge pools will offer each guest a serene environment that will truly allow you to escape into a whole new world. Complimented by exquisite fine dinning restaurants, guided tours, spa access, a cigar lounge and various activities, the Al Sahel Lodge will be an experience you don't want to miss. For more information please feel free to contact us here. Stay off the beaten track... there are beautiful stories to discover. 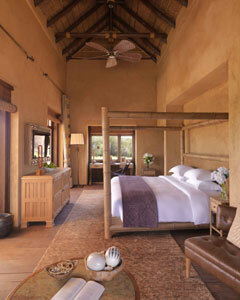 Photos courtesy of http://www.anantara.com/al-sahel/ and http://www.desertislands.com/en/Content/wildlife.aspx.